Ted Gutierrez, business counselor of the Illinois Small Business Development Center. Greg Bouhl, assistant director of entrepreneurship and business development of the Illinois Small Business Development Center. Dr. Cheryl Burke Jarvis, associate dean of the College of Business. Donna Margolis, director of MBA programs in the College of Business. Nolte, a senior majoring in business management with an emphasis in entrepreneurship, took first-place honors out of a group of seven students who participated. 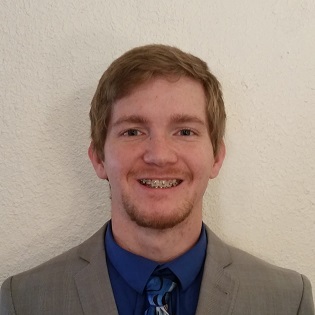 He received a trip to the Collegiate Entrepreneurs’ Organization national conference Oct. 30-Nov. 1 in Orlando, Florida, to represent the Collegiate Entrepreneur Organization chapter at Southern Illinois University. He also received tips from the judges on how to prepare for the national convention. Nolte’s winning pitch was for Next Level Gaming Center, a new store that will offer a one-of-a-kind environment for video gamers using the newest technologies, video games, and facilities to provide an atmosphere that promotes social gaming. Nolte had been working on this concept for about a year and a half before presenting it at the competition. Nolte added that, in a competition such as this one, each participant has to find a way to stand out, and that was something he was able to accomplish. For anyone looking to start a business, Nolte recommended contacting the Saluki CEO Corps.